Eric received his education from the American Institute of Alternative Medicine in Columbus, Ohio in 2013. He also received his Bachelor of Science degree in 2010 from the University of Findlay. 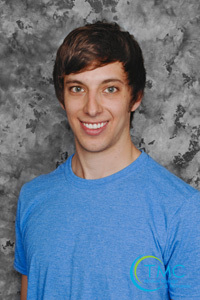 Eric is a certified strength and conditioning specialist through the National Strength and Conditioning Association. License #33.021508. OSU and BWC Certified Provider. I wanted to take the time to let you know how much I appreciate Eric and all he has done to improve the quality of my life. Before meeting Eric, I had been to family physicians, a neurologist, a neurosurgeon, a rheumatologist and endured epidurals, MRIs, cat scans, painful EEGs still never getting any relief. Since being with Eric, I am able to have pain free days. He has always been professional and kind when working with me. When I called this week asking for any cancellations, he went out of his way to squeeze me in knowing I was hurting so greatly. I only trust Eric to work on me. Thank you so much for having him as your employee. I could never express my gratitude to him and to your business. I cannot say enough good things about Eric. I have had two back surgeries and also have arthritis in my back. I am very active with a large house and flower garden and numerous cats with all that entails. Sometimes my back pain is almost unbearable. I started to see Eric in the spring of 2016 and his ministrations have been almost miraculous. I feel like a new woman after a visit with him. I would recommend him to anyone who experiences chronic and unremitting back pain. I have found that regular massage helps with my flexibility, stiffness and mobility. It really helps with my overall well-being. Eric is AMAZING and is always learning new stuff. I feel so fortunate to have found him. He fixed a hip problem that seemed like it would NOT get back to the correct spot. I totally forgot about the pain I used to experience on a daily basis until I saw this email and thought back on all the things he has helped me with. Dude’s got some awesome skills.